Have you ever been to a gallery and wanted to get accurate information about the artwork in front of you? Have you wanted to impress someone by your knowledge of art? Have you ever wondered how much it would actually cost you to purchase the art piece? Magnus will make your life easier! To put it simply, Magnus app works like a Shazam for art. Magnus’ mission is to democratise access to the art world. This is a truly revolutionary moment in art history because this app makes the art world more transparent. The free Magnus app allows everyone, from experienced art buyers to amateur art lovers, to get relevant information about the exhibited artwork. People already tend to take out their phones in galleries to take pictures of artworks. By using Magnus, you’ll be able to keep track of the artworks you like and create your own digital collection. You can also view artworks at a deep zoom level or view them to scale in a rendered gallery atmosphere. So how does it all work? You need to download the free iPhone app first. Then, the next time you’re in a gallery, you take a photo of an artwork using the Magnus app. The app will instantly provide you with plethora of information such as names of the artwork as well as the artist, the artist’s exhibition history and the artwork’s dimensions. This will mostly help uninitiated art viewers to understand the basics about the art piece. However, for the first time in art history, prices from both galleries and auction houses are made available for free. “I’m providing true access to the art market. People who’ve thus far been left out of the market can become buyers: They see comparable prices. We’re equipping non-experts with the knowledge of an expert,” said Magnus Resch, the founder of Magnus. Watch this short and snappy video below to get a better idea what Magnus is all about. It’s definitely one of the best and most creative adverts we’ve seen in a long time! Have you heard of Vivino? Wine lovers can take a picture of wine bottles to discover price mark-ups. Magnus uses the same image recognition technology. Shazam works in a similar way and it’s more popular among young people, hence the previously mentioned comparison. Magnus’ key feature is the world’s largest price database of contemporary art. 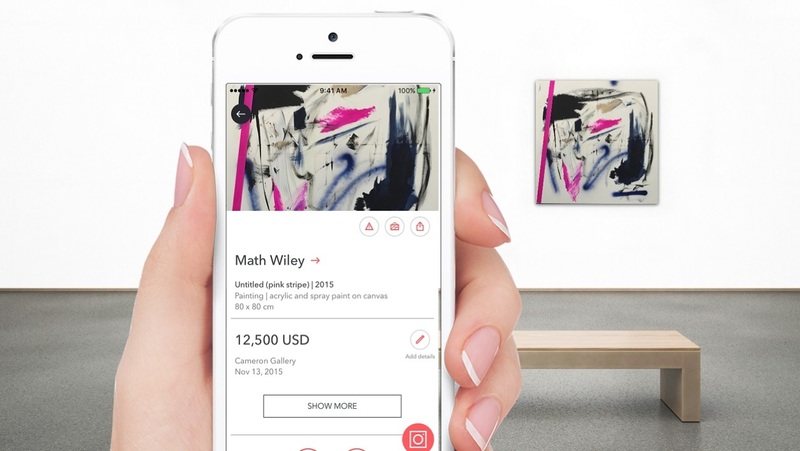 Internal users have added artworks and prices from art galleries around the world using the app. It was very time-consuming to add enormous number of artworks to the Magnus database. Magnus app can recognise 8,000,000 artworks at the moment and the database is growing every day. Everyone can share the picture they took via Instagram, Facebook, Twitter, or email. If that artwork is recognised by Magnus, it’ll provide the app user with all relevant information. If the artwork isn’t recognised, the app will add it to the database and the art viewer can manually add its price. Magnus also includes a map that shows all art galleries and museums, including current shows and opening hours. This feature should help you find your way around the art jungle and it won’t let you miss an interesting exhibition! The brain behind this revolutionary app is an art entrepreneur, Magnus Resch. He is also the author of a book titled ”Management of Art Galleries.” He was formerly based in Berlin as well as Hong Kong, where he co-founded an international database of contemporary art collectors. 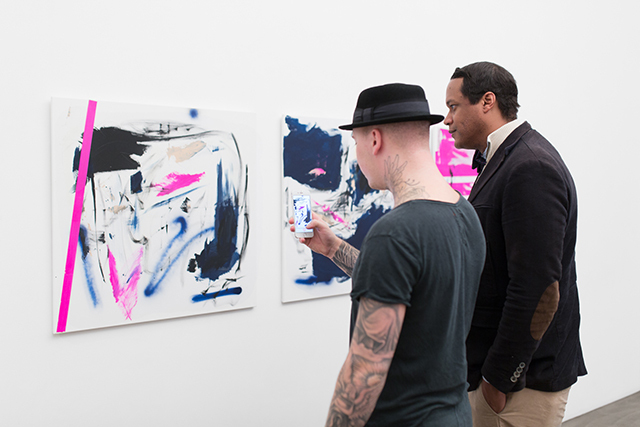 Put the art world in your pocket by downloading Magnus. The app is now available for free download only on iOS, however, according to Magnus website, an Android version is coming out soon.